Agents of SHIELD Episode 4 Season 2 Review! 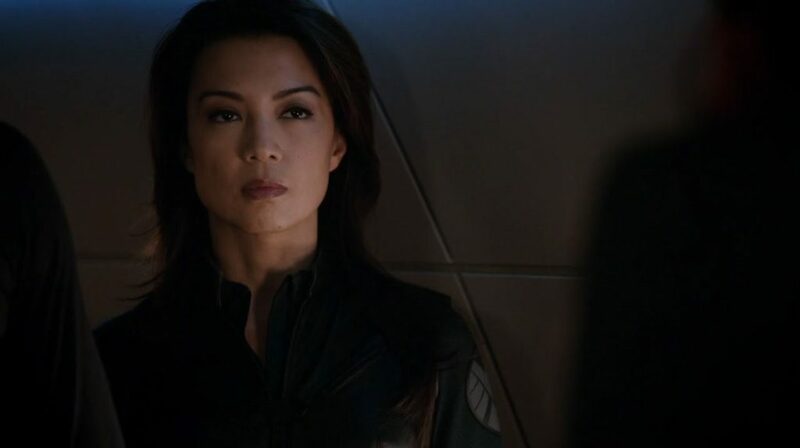 You are here: Home / Reviews / Comic Book TV / Agents of SHIELD Episode 4 (S2): Can Marvel TV Survive Without Anything Super? Another week of Agents of SHIELD, another review where all I want to do is talk about The Flash. 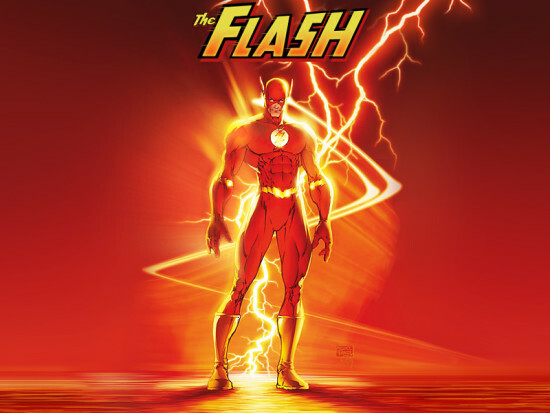 Over on the CW (Comics Winners), The Flash is featuring a new meta human (character with super powers) every week. Agents of SHIELD, on the other hand, has been notoriously cagey with powers, slow-playing reveals of Blizzard and Graviton (still M.I.A.) until leading season two with the Absorbing Man. So here’s this week’s theme: Can comic book TV survive like that? Comics have proven to us that such a statement simply isn’t true. Gotham Central, the 40 issue deep dive into the GCPD by Ed Brubaker, Greg Rucka, and Michael Lark is an entirely excellent template for stories set in the world of the Bat, sans Crusader. Likewise, Brian Michael Bendis and Michael Avon Oeming’s Powers finds brilliant story-telling in the heart of a police station within a super-powered universe. I’m firmly of the mindset that our comic book TV doesn’t need to feature Iron Man or Batman to make for great television. Agents of SHIELD was supposed to help prove this. It hasn’t. Despite claims of “a new and improved” Agents of SHIELD, and praise for its “darker tone” (I guess microwaved Clockwork Orange still works all these years later), Agents of SHIELD has yet to really launch. There are absolutely moments that suggest we’re heading in the right direction – the “it was a dark time” quinoa riff was vintage Whedon and a fresh reminder that this show carried Joss Whedon’s name once upon a time – but largely Agents of SHIELD is somber and tedious. Every week I tune in trying to be positive, and it feels like a chore, like I’m trying to have a good attitude about scooping cat litter. Most importantly, this week Barry faces off against another meta human affected by the Star Labs particle accelerator, Multiplex. It would seem that the approach for Flash will be a new powered villain every week, although at some point Flash is going to run out of Rogues. Nonetheless, this offers an even deeper dive into the DC Universe than Arrow, which had the luxury of letting Ollie off the corrupt wealth of his city instead of pumping out a Deadshot every episode in season one. With a show like The Flash swinging for the fences like that with honest-to-goodness DC comic book villains on the screen every week, how are we supposed to get excited about the bad spies who dress in green outfits and get punched by Captain America on his way to the fight we’re actually excited about? That’s a little unfair of me because HYDRA is actually the highlight of Agents of SHIELD, and their sinister presence really takes the show to a new gear. Nonetheless, I’m fading back out on AoS, and I really wish I wasn’t. Obviously the answer for Agents of SHIELD won’t be more super powers all the time, and that’s fine. But the show does need to recognize the meta humans are out there – it’s time to change what it means to be human because right now it’s merely pedestrian. 1) Hickman’s SHIELD – I almost never mention Jonathan Hickman’s SHIELD solo series when discussing suggested comic book reading for Agents of SHIELD. It’s a bonkers book starring Leonardo Da Vinci, Isaac Newton, Galileo and possibly time traveling ancestors of Peter Parker and Reed Richards. Fun reads, but not something I saw closely connected to Nick Fury and the world of SHIELD in the Marvel cinematic universe. I’m starting to think I’m wrong about that. The alien symbols on the back of an ancient religious painting got me thinking that this could be connecting to Hickman’s SHIELD in a completely improbable turn of events. I’m all for it, especially if we spice things up with a little time travel. 2) More Hydra – As much as I want new plotlines and change of pace for this show, we’re going to have to double down on HYDRA. Every time HYDRA shows up it’s instantly the best moment of an episode. 3) Something meaningful could happen? – Slowly moving the needle is just not working for this show. The cries of “be patient” are completely absurd to ask of a television audience. Read interviews with the creators and there’s a lot of nudge-nudge-wink-wink that the audience just needed to be patient to see the glory of Agents of SHIELD develop. Even if that were true (it’s not), a show like Orphan Black or The Blacklist doesn’t cry “be patient.” It delivers fascinating and complex revelations reasonably quickly and THEN slow plays the mystery. Agents of SHIELD has the formula backwards, and they’re doing it again with the alien symbols and Skye’s Dad. I’m getting cranky. We’re going to need to wrap this up. 4) Director Coulson – Ok, after repeatedly asking for it, I got my Coulson episode, except he’s fulfilling exactly the same leadership role we saw in season one. I really like the job Clark Gregg has done with this character, but I’m not seeing the progression to Director that I expected. To be fair, a collapsed SHIELD is a whole new ballgame. What do you think? Am I too down on Agents of SHIELD second season? Do what feels right to you in the comments.